Migliaccio & Rathod LLP is currently investigating restaurants who force their servers to claim more in tips than they actually receive from customers. This may happen through management pre-programming time clocks so that, when servers clock out, they are also forced to claim a certain percentage of their day’s sales in tips, even if that percentage exceeds the amount that customers actually tipped the servers. 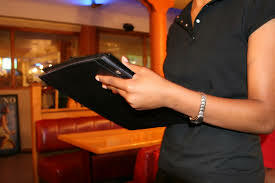 Management may be motivated to force servers to overreport their tips so that they can generate a fake paper trail of having met their tax and minimum wage obligations. This practice causes real harm to servers, however. Overreporting tip amounts can cause servers to pay more in taxes to the IRS, since the server’s total income (in their W-2 Forms) reflects tips that they never earned. Has Management Forced You to Claim Tips That You Did Not Actually Receive? If management has forced you to claim more in tips than you earned, we would like to speak with you. Complete the contact form on this page or give us a call at (202) 470-3520. The lawyers at Migliaccio & Rathod have years of experience in class action litigation against large corporations, including in cases involving wage theft. More information about our current cases and investigations is available on our blog.